Early Wednesday morning, the new edition of Charlie Hebdo went on sale across France, with the press run ramped up from the usual 60,000 to 5 million. The new issue, with a degrading cartoon of the prophet Muhammad on its cover, is not a monument to “press freedom,” as portrayed in media accounts, but rather a state-supported provocation. 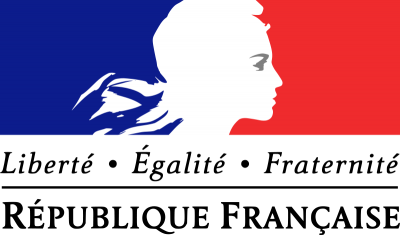 Through this publication and its echoes throughout the media, millions of French citizens are being bombarded by an anti-Muslim campaign that was, until recently, the province of the neo-fascist National Front. These sentiments are being deliberately whipped up to provide a base of support for renewed military operations by French imperialism. The conduct of the “war on terror” is acquiring ever more openly a racist character. That the campaign is being very carefully coordinated is evident in the fact that the French government paid for the enormously expanded press run, while leading journals of the French bourgeoisie made it possible: Le Mondesupplied computers, Libération opened its offices to the surviving Charlie Hebdo staff. Prime Minister Manuel Valls dropped by to show his support. The carrier is to join the US military in the Persian Gulf, where American forces are raining bombs down on western Iraq and eastern Syria as part of the war targeting, for the present, the Islamic State in Iraq and Syria (ISIS), with the Syrian regime of Bashar al-Assad next in line. The US-led coalition of imperialist powers and Gulf sheikdoms carried out 18 air strikes on Monday alone. There is little doubt that these bombing attacks slaughter more innocent people every day than the number of people who died in Paris last week, albeit with far less attention from the Western press. On its way to the Persian Gulf, the Charles de Gaulle will pass along the coast of Yemen, giving the Hollande government the capability to launch air strikes on targets in that country. US and French officials have suggested that Said Kaouchi received military training and instructions in Yemen from Al Qaeda in the Arabian Peninsula. There have been unconfirmed suggestions in the media that a massive attack on Yemen, either by French warplanes or US drone missiles, or both, is imminent. The Charlie Hebdo attack is also being used to rapidly escalate the other component of the “war on terror”—the assault on democratic rights at home. While claiming to defend “freedom of speech” at Charlie Hebdo, the French authorities have arrested at least 54 people for “defending terrorism”—that is, for speech, including posts on social media. Four of those arrested are minors, and some have already been convicted and sentenced under legislation that provides for expedited trials. Alongside the crackdown on public expressions of sympathy with Islamic fundamentalism is the buildup of sweeping police state powers that will be directed not merely at Islamic radicals, but at any opposition to the French bourgeoisie, above all that from the working class. Valls promised that within three months his government will have drafted new laws on expanded phone-tapping and Internet surveillance, as well as measures to restructure the French educational system and change the country’s housing policy (aimed at breaking up Muslim communities in impoverished suburbs around major cities). Given that France is home to some five million Muslims—the largest Muslim population in Western Europe—these measures are not only anti-democratic and provocative, they are also extremely reckless. Supporters of the propaganda offensive of the French bourgeoisie proclaim that all criticism of the vile provocations of Charlie Hebdo is an attack on “free speech,” and that somehow the mobilization of the resources of the French state to promote the magazine is a defense of democratic rights. It is one thing to defend the legal right to publish a vicious, racist, right-wing magazine. Marxists oppose the banning even of outright fascist publications by the bourgeois state, because any laws used against the extreme right will be used far more violently against the working class and the left. It is a far different matter to cover up for, and even glorify, the repulsive political messages of such publications. There is no difference in principle between cartoons distorting and degrading the prophet Muhammad and the anti-black caricatures of the Ku Klux Klan or, for that matter, the anti-Semitic caricatures long popular in the neo-fascist and neo-Nazi camp. This is demonstrated by the logic of French politics, as President Hollande combines solidarity with the anti-Muslim caricatures of Charlie Hebdo with an invitation to Marine Le Pen, leader of the fascist National Front, to a meeting at the Elysée Palace. The relentless pollution of public opinion and the distortion and misdirection of the natural anger and shock over the Paris massacre reveal the ideological bankruptcy of the French bourgeoisie and of imperialism as a whole. American imperialism justified its wars in Afghanistan and Iraq by waving the bloody shirt of 9/11, a pretext that is now completely exhausted. As they plot new military adventures, assuming the dimensions of a veritable new Crusade, the ruling classes in France and internationally are playing the race card. Inexorably, however, the fundamental class contradictions in all the major capitalist countries will make themselves felt. The working class must shake off the stultifying effects of the media propaganda barrage and take up the struggle for its independent class interests—the defense of jobs, living standards and democratic rights, and the fight against imperialist war.